Just as the rumors predicted, Facebook has purchased Israeli facial recognition company Face.com, according to an announcement on the Face.com website posted earlier today. According to reports, the purchase price comes in at between $80 million and $100 million. Update: Looks like the price for Face.com is actually much lower than expected: $55 million to $60 million, according to Mike Isaac of AllThingsD. And, from the sounds of it, Face.com’s mug-detection software will be making it into Facebook’s photo offerings sometime soon. The official announcement of Face.com’s acquisition by Facebook comes just weeks after the company re-released its unique mobile facial recognition app called Klik, which allows users to identify people in photos in real time using data from (you guessed it) Facebook. It also includes more advanced features, like gender detection — it can even read people’s moods. Now, it seems, all this will get looped into Facebook’s ever-expanding photo app arsenal. 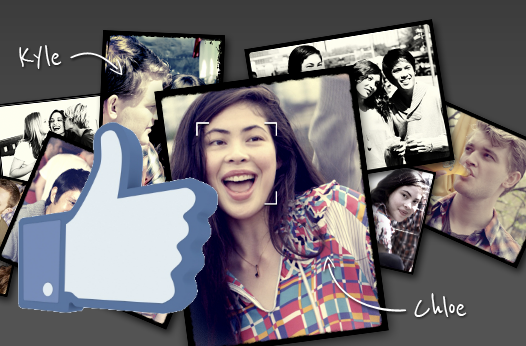 At the very least, Facebook users should expect a far more advanced auto-tagging feature in Facebook’s mobile apps, like Camera and Instagram, that makes use of Face.com’s technology. At the most — well, who knows? This kind of next-generation technology opens all sorts of doors, many of which will presumably have a whole new set of privacy-devouring ghouls hidden in the shadows. At the moment, however, it is not possible to recognize people with Face.com’s tech who are not already your friend on Facebook. For privacy’s sake, we hope it stays that way, otherwise things could get very, very intrusive in all sorts of ways. Privacy fears aside, Face.com’s technology is extremely impressive — it has a real “wow” factor that other apps lack. Given Facebook’s newfound push into the mobile space — a space Face.com knows very well — it will be quite interesting to see how the social network behemoth handles its shiny new toy.